Radiation makes Mars travel impossible today…let’s fly faster! NASA’s Curiosity program has confirmed that interplanetary manned missions at speeds attainable today is not possible due to lethal space radiation. 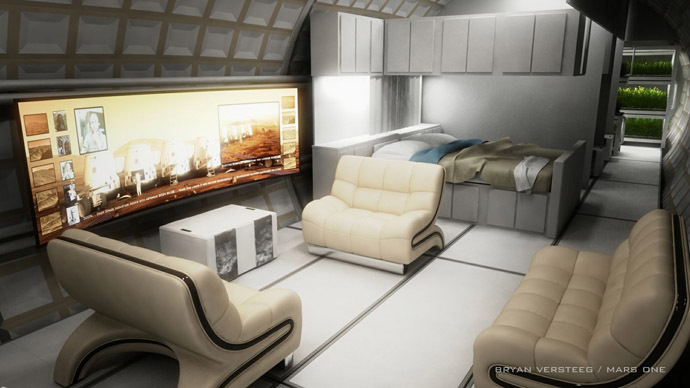 However, Russians are preparing to speed up space travel 20-fold to get to Mars and beyond. Once again it has been confirmed, this time empirically, that space radiation would seriously endanger cosmonauts’ lives on their trip to Mars. 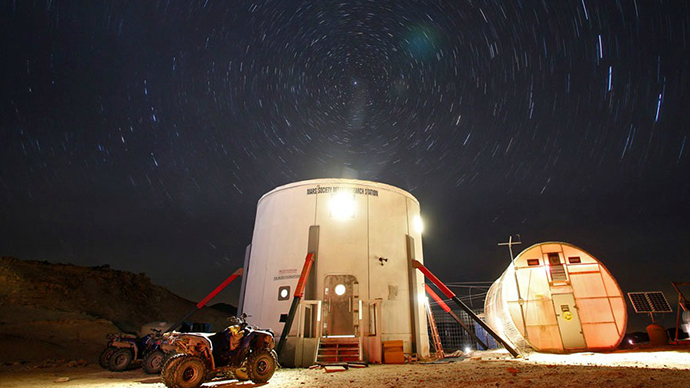 The Curiosity rover mission has been collecting valuable data not only after arrival to the Mars surface. Through the eight-and-a-half month cruise to Mars the probe’s sensors were collecting information about space, including radiation levels. Now the radiation data collected by Curiosity have published in the May 31 edition of the Science magazine by a group of scientists from the Southwest Research Institute in Boulder, Colorado. And their prospects for manned flight to the Red Planet are dark, naming space radiation as a major threat to astronauts. Radiation accumulates in the human body; therefore exposure to it is measured in Sievert (Sv) or milliSievert (one-thousandth of Sv) at a given time. The atomic bombs of Hiroshima and Nagasaki dramatically exposed a simple fact that extreme doses of radiation cause cancer. For example, exposure to 1 Sv adds a 5 per cent increase in risk of developing terminal cancer. Two known forms of radiation actually threaten astronauts’ health in space. There are galactic cosmic rays (GCR) from outer space caused by high-energy events in other stellar systems, such as supernova explosions and other events outside the solar system. Another type of radiation is solar energetic particles (SEP) emitted from our sun in large quantities, particularly at the time of coronal mass ejections and solar flares. 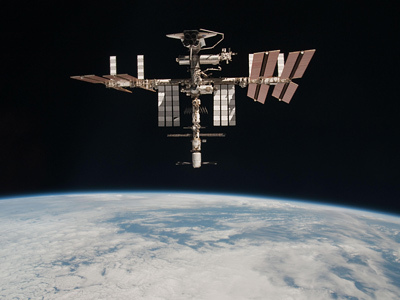 The International Space Station and manmade satellites are fairly protected against SEP radiation, but cannot properly shield highly-energized GCR particles, that either pierce a spacecraft through or collide with what space vessels consist of on atomic level, causing deformation of the materials. So far no proper shielding against GCR particles has been invented, largely because it would imply a much higher, next-generation power supply capacity of a spacecraft. Curiosity’s Radiation Assessment Detector (RAD) has been measuring the radiation levels during the long 563,000,000 kilometers flight to Mars in conditions similar to those that will be inside a manned spacecraft in the future missions. 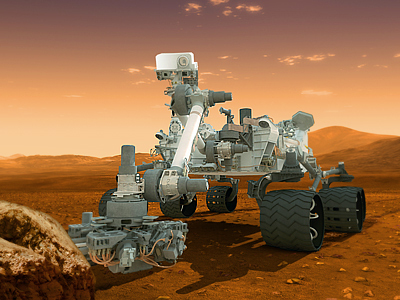 The RAD showed that during its journey to Mars Curiosity was exposed to an average of 1.8 milliSieverts of GCR radiation per day. The current NASA radiation regulation for astronauts allows maximum 3 per cent increase in cancer risk. With about 520 days in interplanetary space needed for to-and-fro Mars travel (without actual landing), the daily 1.8 milliSieverts of GCR radiation make close to 1 Sv in total, much more than allowed for an astronaut to endure. “The situation would be greatly improved if we could only get there quite a bit faster,” NASA’s Cary Zeitlin told BBC News. And this is exactly what Russian scientists are planning to do in the nearest future, developing a spaceship that can travel much faster than the modern space vessels. 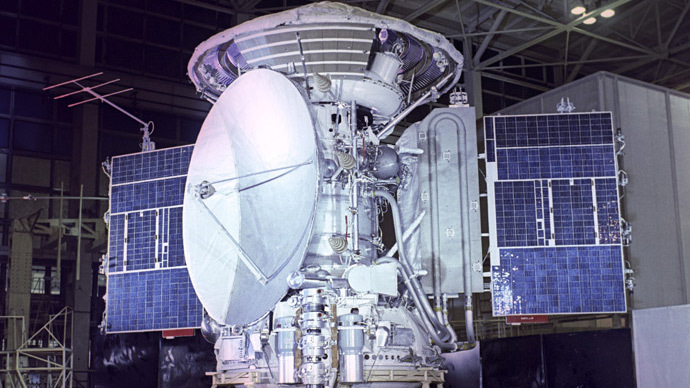 In the meantime Russia is slowly but steadily making its way in the direction of manned interplanetary missions. The task is enormous and implies heavy investments in various fields of science to get a functioning model of a future spaceship. 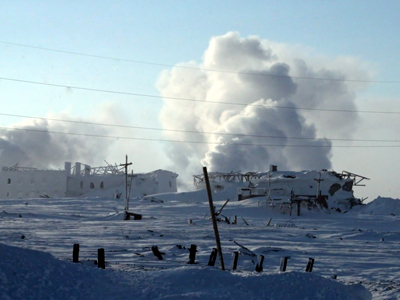 First of all Russian scientists are set to develop a megawatt-class nuclear drive to start test in 2017. The traditional rocket engines are believed to have reached the limit of their potential. The nuclear engine project proposes the use of an electric ion propulsion system using xenon as propellant for the engines. The engine exhaust thrust will be generated by an ion flow, which is further accelerated by an electric field. The nuclear reactor will therefore ‘supply’ the necessary amount of electric power without unwanted radioactive contamination of the environment. These new engines would increase the speed of a spaceship dramatically, by at least 20 times, which means the traveling time to, for example, Mars would lessen to little more than one month, given the necessity to gain speed in the beginning of a journey and slowing down while approaching the Red Planet. In that case exposure to space radiation would decrease manifold. Russian state is planning to invest well over $550 million in development of the nuclear engine program, which uses the vast practical results of the similar program in the USSR (1961-1989). But still Russia’s Roscosmos space agency believes it would take time till 2025 before a functioning atomic engine will get to space. 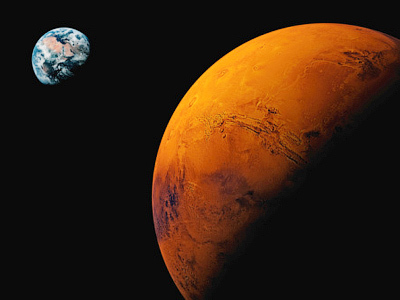 Earth and Mars approach each other occasionally and the next possible date to send a manned expedition to Mars after 2025 would occur in 2035. In the meantime, Roscosmos and the European Space Agency are teaming up to develop a united ExoMars exploration program, since bearing such burden alone is a task too heavy to undertake. In 2016 the agencies are planning to send a satellite to Mars and, in 2018, to land a rover. 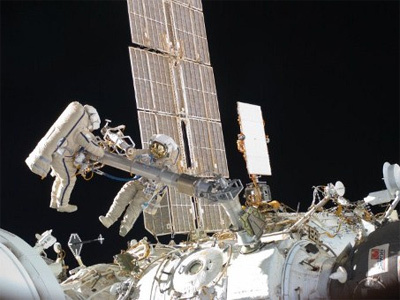 Roscosmos plans to stage a huge experiment of its own, sending two cosmonauts for one year to the ISS, returning them to Earth to imitate activities on the Martian surface, and then immediately returning them to the ISS to simulate the trip back home. This test will start in 2018 and the names of the men to take part in it are already known: Russian cosmonaut Mikhail Kornienko and American astronaut Scott Kelly. This unprecedented experiment has been underway for quite some time. 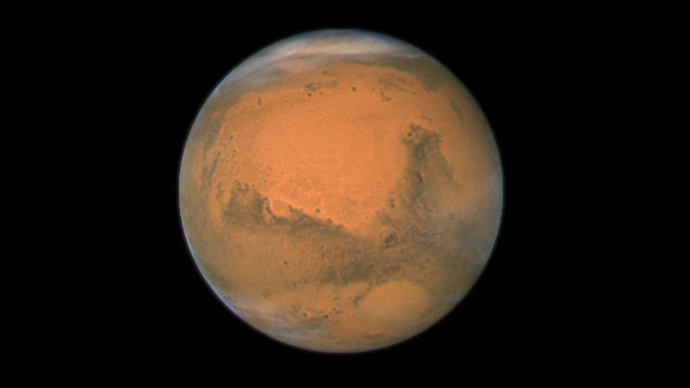 In 2010-2011 a Mars-500 experiment was successfully conducted. 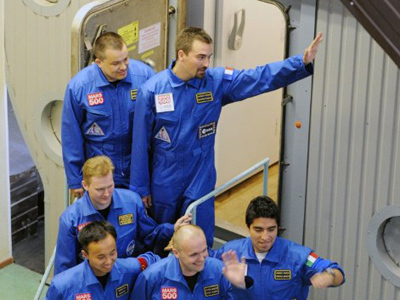 Six volunteers spent 520 days isolated in a mock spaceship, simulating a trip to the Red Planet and back.